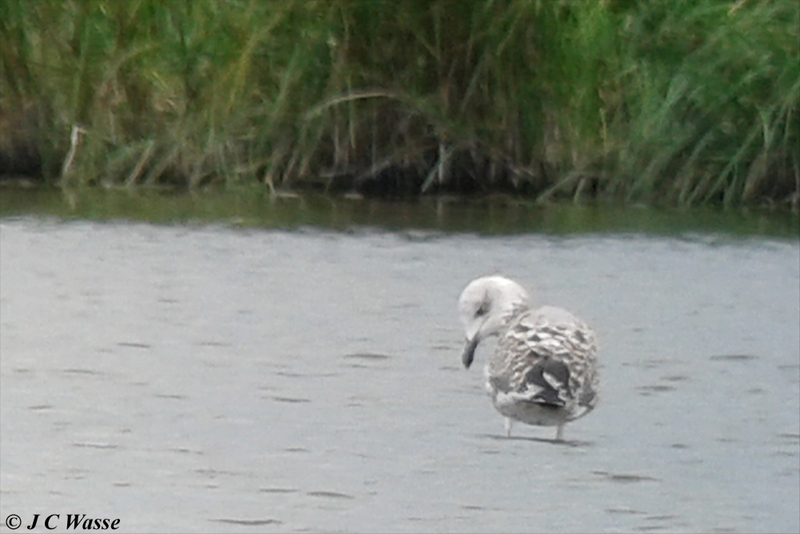 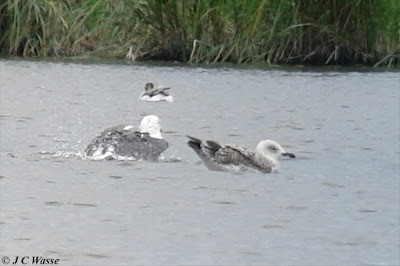 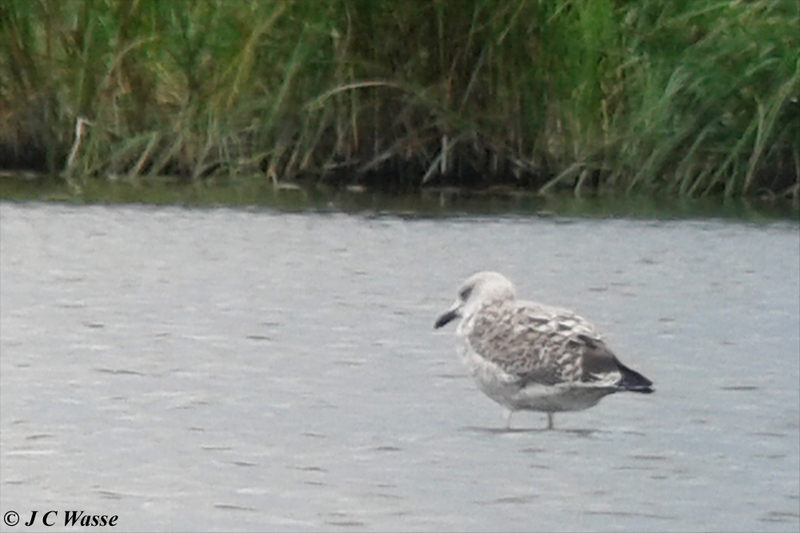 This large gull was present on Aveley Pools at Rainham Marshes RSPB mid pm on Saturday 13 August 2016. 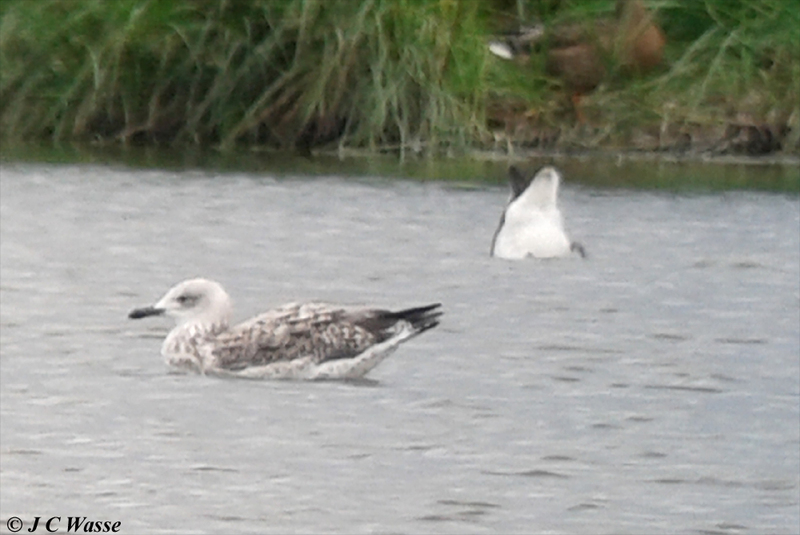 Help please, can it be identified to species? How old is it? 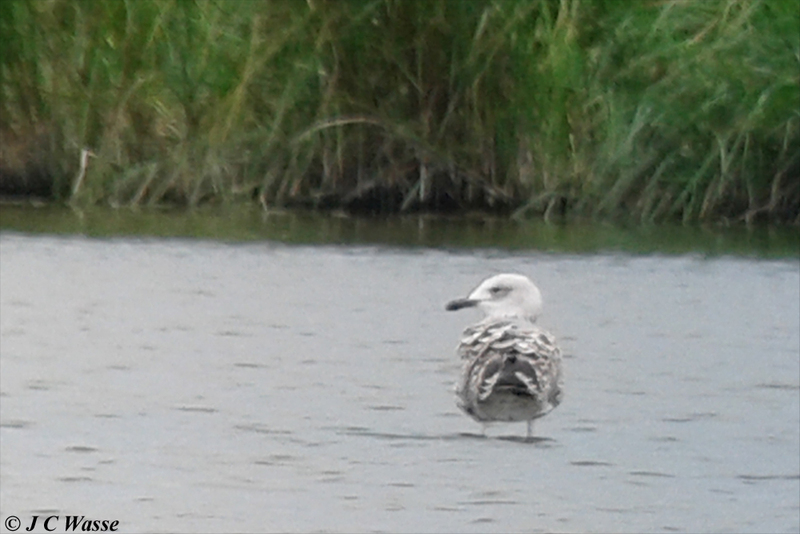 Is it correct to say 2nd calendar year as opposed to advanced juvenile (1st calendar year)? 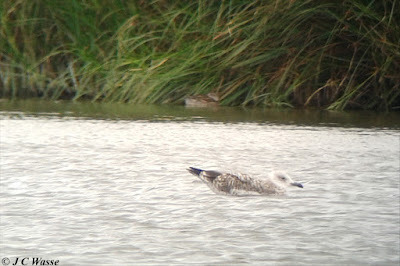 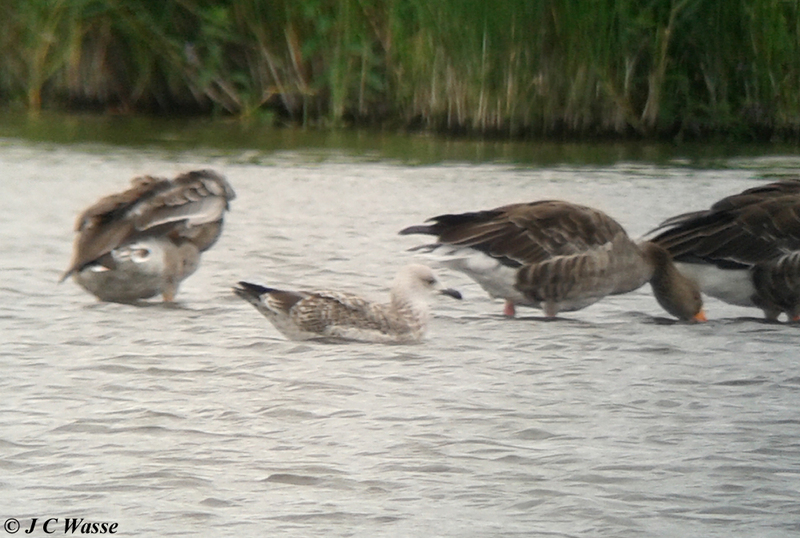 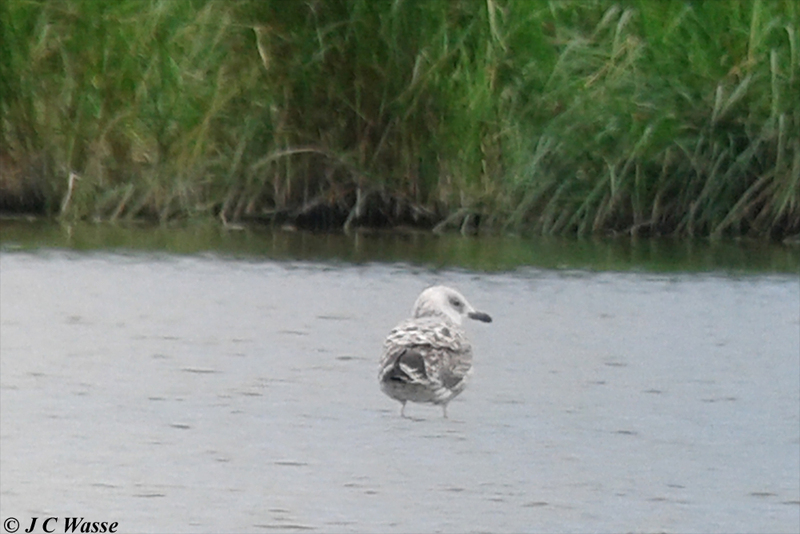 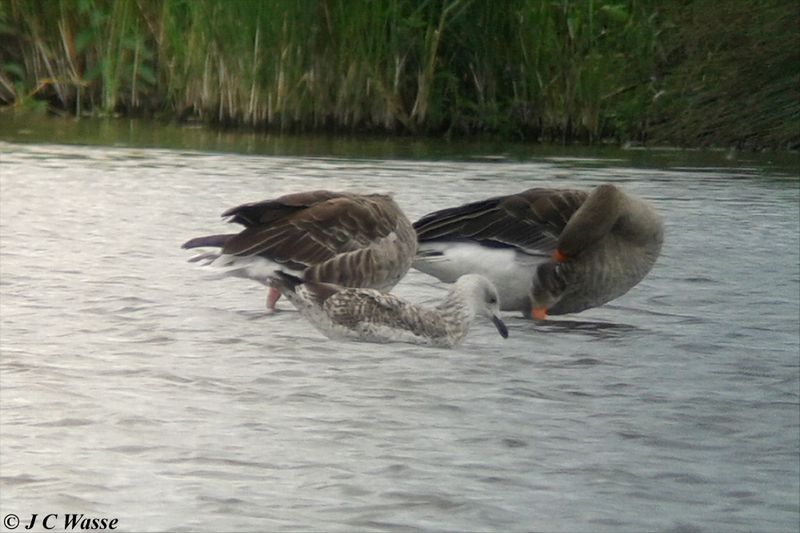 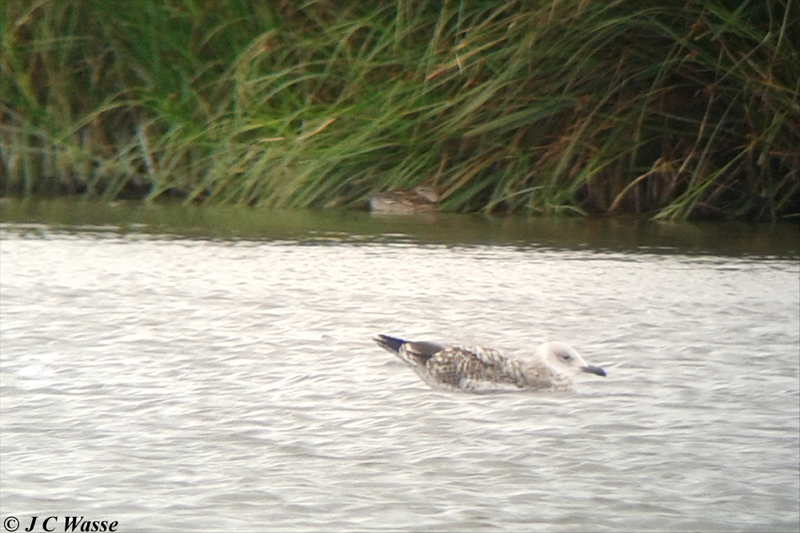 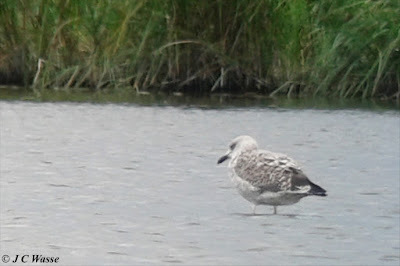 Does profile suggest 'Yellow-legged' as opposed to 'Caspian'? Do the pale grey mantle feathers point away from 'Yellow-legged'? Can 'Herring' be ruled out?